Mindball is a physics based racing game that is easy to learn but hard to master. Play in multiple game modes over various tracks and see who can be the first to cross the finish line. Enable power-ups to allow a more diverse racing experience with ghost-balls, oil slicks, lasers and much more. You can move the ball in Mindball Play using many different devices. Of course using the standard keyboard or a game pad is default. To move the ball directly with the mouse is an other option. If you have Tobii Eye Tracker you can use that device to actually move the ball. But, the key feature of Mindball Play is that you can move the ball using your brain by wearing one of our wireless headbands. Many of the inputs are possible to combine, as the headband and the game pad e.g. The better you focus the better control you’ll have over the balls movement. Play online, on LAN or in splitscreen to test your skills versus other racers. Try Single Player for a less hectic experience and race versus the leaderboards in Time Trial. Watch how other players race by enabling Ghost-balls and henceforth improve your own racing. Connect and enable the wireless headband to move the ball with your brain. High and stable focus will move the ball along the track to eventually cross the finish line, but be careful not to get too excited! Lose your focus and you lose control over the ball too. With continuous practice you can improve your focus to eventually master your mind and transfer this mindset into your everyday life. Mindball Play for e-sports helps you to bring your gaming experience to another level! 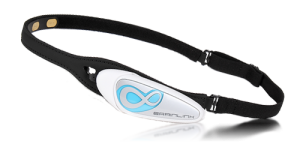 By using our wireless headbands together with Mindball Play you can with time, improve your focus. By continued practice you’ll recognize and feel the difference when being focused and not. Use Mindball Play as a training ground and then translate that training on to your respective e-sports playground, whether it be Summoners Rift, de_dust2 or any other map. Mindball Play for Science Centers is a standalone exhibit with specially designed headbands possible to attach. Your visitors will be able to move the ball in Mindball Play just by being focused and relaxed. They can play by themselves or compete against friends, competing in who will be the best to focus and thus win the race! 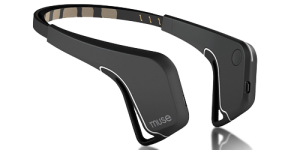 The science center version is designed to be used without any other interaction with the software, for the visitor, but wearing a headband and focus. Mindball Play for Schools provides a fun addictive game to train focus. A training device that the pupils actually are keen to use. Each student gets a personal account where they and their teacher can track the development of their focus ability over time. Start off class with ten minutes of training with Mindball Play and the game will provide a calm and focused class ready to take in new knowledge. Mindball Play is possible to play if you have a disability. The game is possible to play just by being focused wearing a wireless headband. It is also possible to play with Tobii Eye Tracker. These two inputs can also be combined for a more interactive experience. You can also move the ball in the game with the mouse. Should you play against friends they can use an iput of their choice. Mindball Play for private use, please see above. Mindball Play for rehab centers and the likes, please contact us. Easy wearable wireless headbands, put it on and control your ball with your brain alone. No hands!